This free-standing bldg is fully developed on the main floor with numerous private offices, reception, meeting rooms , kitchen, M/W washrooms + fully developed mezzanine (1,064 sf). The space features an open beam ceiling and none of the existing partition walls are load-bearing…the majority of the space could easily be reconfigured to suit any number of different uses ie medical, night club, day-care, fitness, restaurant etc. 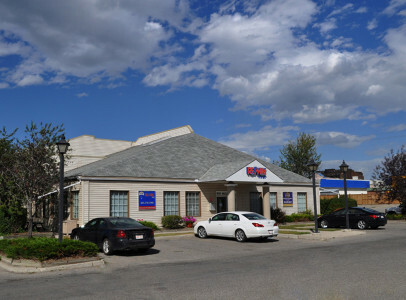 There is abundant parking (over 260 stalls in total), with great access from Macleod Trail and Horton Rd. The package will include prominent pylon sign advertising on Macleod Trail and Horton Rd.